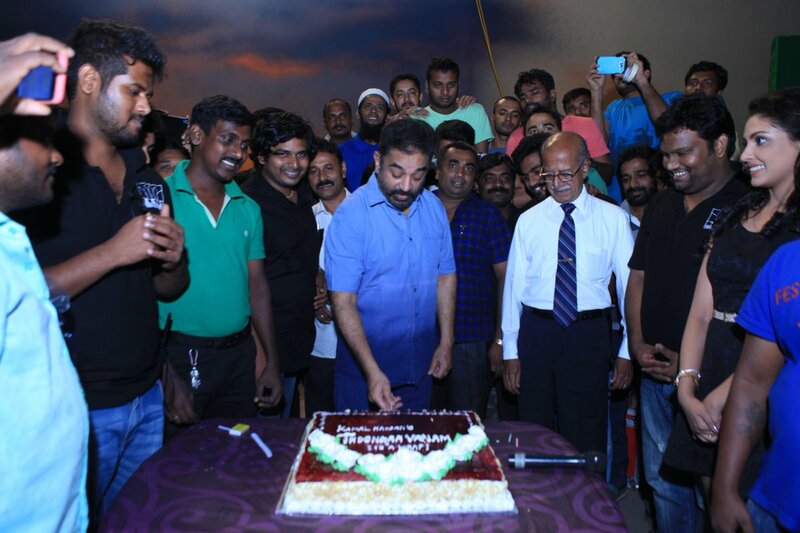 On Friday, the entire shoot of Kamal Haasan's Thoongaa Vanam was officially wrapped up. Sources say that after shooting action and chase sequences in Hyderabad, the team had camped at a large pub set erected at ECR, where they shot many crucial scenes of the movie. Reports say that director Rajesh, former associate of Kamal Haasan has wrapped up the film in just 38 days, which definitely deserves a huge appreciation. Touted to be the official remake of French Film, Sleepless Night, Thoongaa Vanam has Trisha, Prakash Raj, Sampath, Yugi Sethu, Asha Sarath and many others to its star cast.